Historic Jingu Stadium will be vacated for nearly three months for the 2020 Tokyo Olympics and Paralympics after the ballpark’s operator and its other regular users agreed in principle to a modified proposal from the 2020 Tokyo Olympic organizing committee on Friday. If the agreement is finalized, Jingu, the 90-year-old home park of Nippon Professional Baseball’s Tokyo Yakult Swallows, two prestigious university leagues and Tokyo’s summer high school tournament — but a stone’s throw from the main venue for the 2020 Summer Games — will be used as a staging area for volunteers and equipment storage in 2020 from July 1 to Sept. 20. The 2020 organizers originally requested the ballpark be closed for seven months from May, but were asked to shorten that period. In their counter offer, organizers proposed to use Jingu’s sub stadium from January to November, and the land where neighboring Prince Chichibu Memorial Rugby Ground currently sits. Chichibu, the historic home of Japanese rugby, is set to be demolished before the 2020 Games. 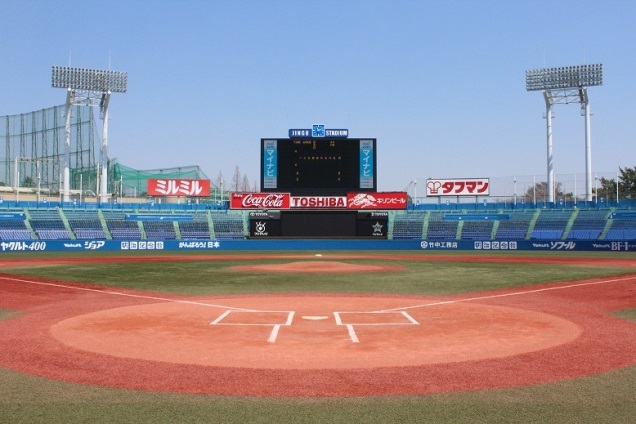 Alternate venues will need to be reserved for professional and amateur games during the period Jingu is used for the Olympics. “We reflected on not (originally) paying enough respect to Jingu Stadium being used in many games, and lacking consideration of its status as a sacred ballpark,” said Hiroshi Sato, the organizing committee’s vice secretary general. Katsuji Takei, the chairman of the board of the Tokyo High School Baseball Federation chief said he would like the Tokyo government to build a high school stadium seating 20,000 to 30,000 and suggested Komazawa Park and Toneri Park as suitable locations. “Compared to other prefectural ballparks, Tokyo’s metropolitan stadiums are pretty sad,” Takei said. The loss of Jingu’s sub stadium during the Olympic year is a hard blow, since the field is a popular venue for high school games all year.